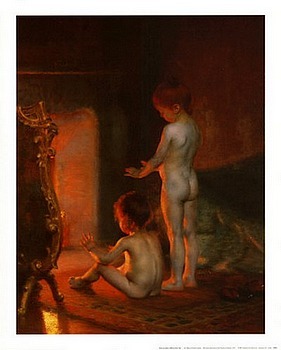 After the bath in Britian, we dry our children, and warm them by the fire. In Mexico, we dry our children and warm them in the sun. "Take a music bath once or twice a week for a few seasons, and you will find that it is to the soul that the water bath is to the body." ~ Oliver Wendell Holmes, Jr.
Hi Donna. A Bath for Habibi; for Thanksgiving? How are you feeling? Cough gone? Last weekend was our stamp club garage sale and we all did exceptionally well. I had a limited amount of craft items for sale but still made some "mad money" to spend next week when daughter and granddaughter arrive. It was exhausting and I pretty much wore myself out after having company in September and then cleaning out and marking items for sale. I actually put more back into my craft area than I removed. Two of the gals are reps for Stampin Up and had bargains galore. I was good on the stamp side but I couldn't resist the cardstock and ink pads. Last night was the monthly night club meeting and we focused on Halloween tags. I don't make many Halloween items because we have no young children in our family. Loved the photos of the oranges, expecially the one shot up against the textured wall. I hope you your tree planted after your construction is complete. It was fun to see the progress and was surprised at the details for the outside wall. Here they probably would have run a trim along to separate the two stories rather than match them. You are fortunate to have detailed craftsmen working for you. Take care...baby that knee and "be happy." Garage sale for fun stuff! Sounds like my kind of place. Glad you were able to 'add' to your supplies. I'm trying to figure out what I can make with ribbon. You can find every kind of ribbon imaginable here! Any ideas?